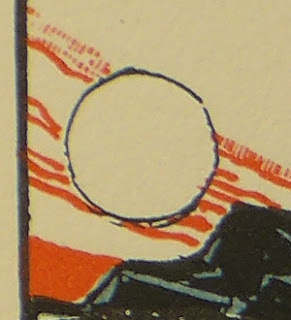 An online bibliography, called Oliver Simon at the Curwen Press, contains information on three books with texts and/or illustrations by Ricketts: The Legion Book (1929), Beyond the Threshold (1929), and Troy (1928). The first two have bindings by Ricketts, the second one has texts by Ricketts, and the second and third title have illustrations by Ricketts. The bibliography by Robin Phillips has been in the making since 1963, so for more than fifty years. It contains descriptions of the books that were printed at the Curwen Press, Plaistow, London, between 1919 and 1955. During that period Oliver Simon was associated with the press. Phillips is adding new data regularly, and the descriptions contain information on author, title, format, size, typeface, paper, illustration methods. Troy, a poem by Humbert Wolfe (1885-1940), was published as the twelfth publication in Faber & Gwyer's series The Ariel Poems. 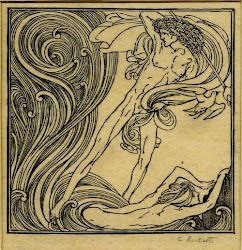 It appeared in a regular edition in September 1928 (legal deposit date 24 September); a limited edition of 500 copies signed by the author appeared in November. The print run of the ordinary edition is not mentioned in the bibliography, but must have been approximately 3000 copies. The poem was set in a 10 point Garamond italic (title and author's name in roman). 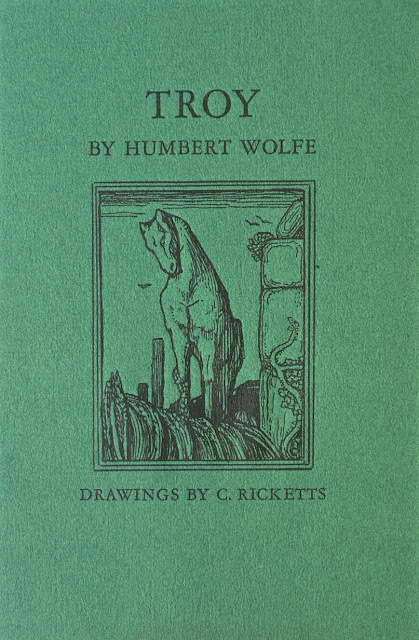 The green outer wrapper was printed in black with the drawing of the Trojan horse. There were eight pages, sewn in the wrapper (145x122 mm). The limited edition is bound in light blue wove paper covers, with the upper cover gold-blocked with author's name and title. Published in a larger format (219x143 mm), the booklet contained twelve pages (not including the endpapers). The Trojan horse appeared, not on its cover, but on page , printed in black on white. 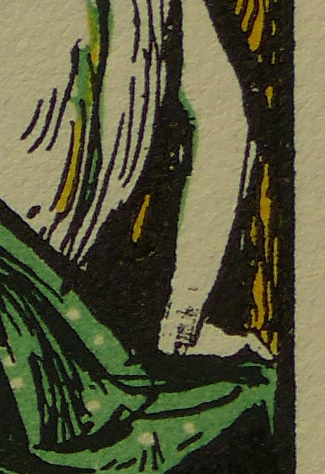 This edition was printed on English hand-made paper (there is no watermark). Ricketts's second drawing was also a line-block, but printed in several colours: black, red, yellow, green, and blue. Some slight differences between the image in the two editions may have been the result of the softness of the deluxe paper, and of pressure. 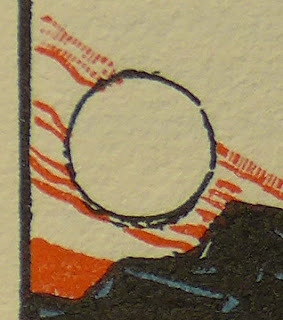 The pattern in red has, in some copies, been placed somewhat to the left, causing the red strokes around the moon to intrude the black circle from the right; in other copies they pierce the moon circle from the left; or don't enter the circle at all. Another matter is the black in the woman's wrist. 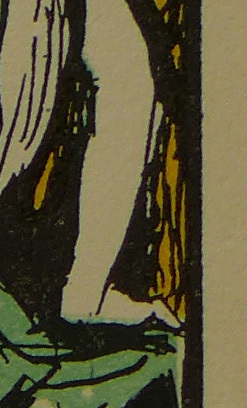 The seated woman with the naked back shows black ink in the copies of the deluxe edition, but not in the regular copies.